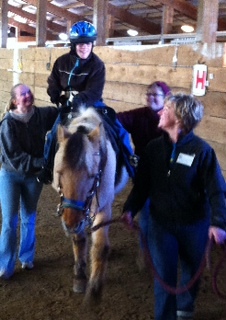 Friday, February 28th, we started our ‘spring session’ of therapeutic riding. Chester and I had a great ride and joining us was my friend, Grace; and her horse, Whistle. 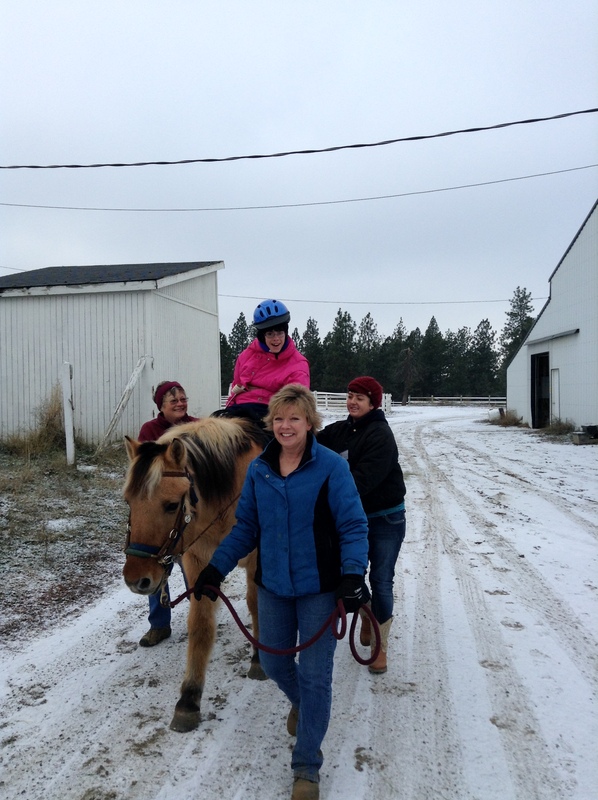 We even had a chance to ride outside on the snowy trail. 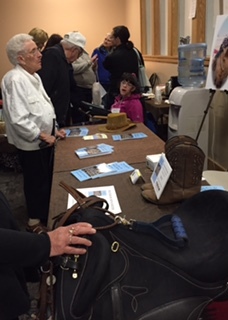 The riders that were scheduled for Saturday, didn’t have the same luck as we did; because the temperature took a turn for the worse causing their classes to be cancelled. Chester thinks spring is coming because he is SHEDDING. My side walker, Susan, carries a hanky to wipe my nose when it runs in this cold weather; and when she wiped my nose she got Chester hair on my face. Then trying to remove that with her hairy gloves was a challenge. It was pretty funny! Yesterday was our last time in the saddle for 2013. 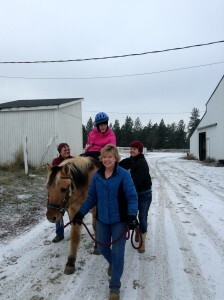 We were scheduled to ride the week before but because the weather was not cooperating (a high for several days of 15 degrees) classes were cancelled. Yesterday was a balmy 30 degrees, no sun, a little breeze. I had a great ride. Mom and I made caramel corn that we passed out to my ‘team’ and left a big bag of carrots for Chester to share. 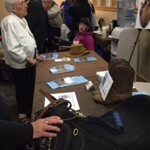 We are scheduled to be back in the saddle again the end of February. We have had great weather for the start of our spring session this year. My pciture is from last week when Chester and I got together to go for a ride! The horses are on ‘spring break’ this week. Spirng is here and I am back in the saddle again! 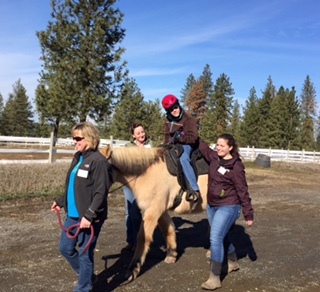 We started riding last Friday and have had great weather so far. Last week we forgot to take Chester carrots and boy did he give us a dirty look. He did get his carrots this week. Last week there was a cameraman from one of the tv stations. They are going to be doing a segment on Sandy and Free Rein. I may be in the video. I will let you know when that will be on. It is so great to be riding again!